Farewell, Omnigul farming. 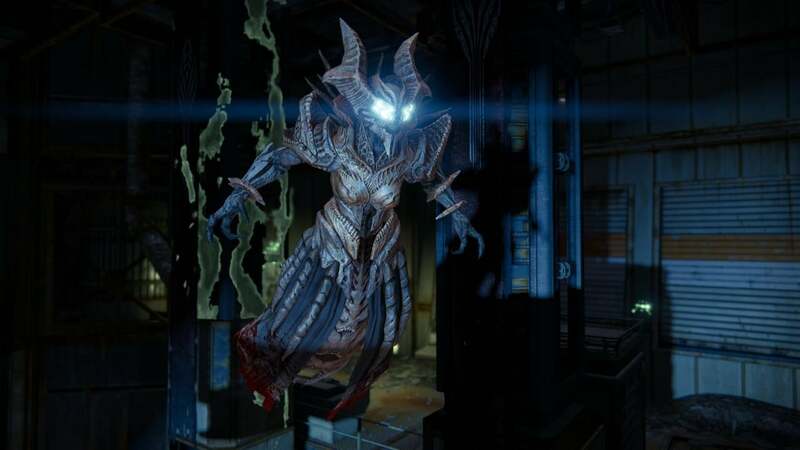 Thanks to a new hotfix, Destiny players will no longer be able to repeatedly kill Omnigul for blue loot. Moon wizards, rejoice. Of course, this doesn't solve the major problem that Rise of the Iron brought to the table. The problem, as anyone who's played Destiny over the past week knows, is that levelling past 340 is a major grind. It's a convoluted process with arbitrary rules (blue engrams are capped at 340, but decrypted blue gear can drop up to 365 for some reason) that can be very, very time-consuming. Making progress in the new raid requires you to be at least 355 or 360, and getting there can be a chore unless you read in-depth FAQs on how to do it. Players had farmed Omnigul as an easy way to bypass this nonsense (and level far more quickly) but, as usual, Bungie is trying to treat the symptom rather than the cause. It's standard Destiny rhythm: Bungie creates a tedious experience, so players find an exploit to get around it. Instead of trying to make the experience less tedious, Bungie simply removes the exploit. At least there's a bit of good news: Bungie has upped the drop rate of SIVA Offerings (the items that let you trigger the Archon's Forge) and added a guaranteed way to get them. Although you can still only hold one at a time. Because Destiny. I played the expansion as you normally would, no FAQs or cheering omnigul.. No over the top grinding.. I went into the raid at 353, got a 365 chest piece to drop, which then in turned helped me decrypt higher gear and without any major grinding I'm at 371 now. This just smacked of people wanting it now now now and not just playing the game to enjoy it. Yeah I do agree with you, i'm sitting on 355 at the moment was hoping to give the raid a crack this weekend. Raid drops start at 365 and then as your light increase follow the standard rule of a couple levels higher then you are at best, so if you get blessed by RNGesus, you should be able to jump a few light levels. As I said, I entered the raid at 353, the chest piece dropping helped jump my light up 2 levels, which is turn made legendaries decrypt higher etc., It took me from launch to last friday to get to 353, but then once the raid hit I went from 353 to 366 in 2 days. The real grind starts after 365, so don't be surprised if it slows right down from there, that's when you're more relying on the nightfall, strike specific drops (skeleton keys), faction package drops and of course the raid and exotics. Being higher light definitely helps in the raid. The first encounter is only light 350, but it slowly increases to where the final boss is 380 light. You notice the difference in each light level increase you get thats for sure. My main is now 379 and the raid is a breeze. I couldn't care less about farming and instead am happily going through the book and have actually started playing more Crucible (lots of Kinderguardians to headshot!). I'm also mildly obsessed about Grimoire as I finally nail 5000. This weekend the Raid where I should be sitting at about 365 or so. Oh well at least we can grind more, just not together. This is why I continue to have no regrets about not getting a game that looked promising in the beginning.